Brazzaville, 4 February 2016 - Countries from the WHO African Region have been urged to be watchful and prepare to tackle any signs of the Zika virus disease. The call was made by Dr Matshidiso Moeti, the WHO Regional Director for Africa. 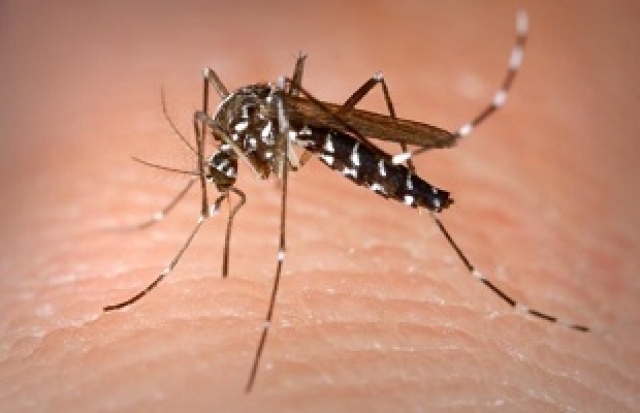 “The most effective forms of prevention are reducing mosquito populations by eliminating their potential breeding sites, and using personal protection measures to prevent mosquito bites. I call upon countries in the Region to strengthen vector control, surveillance and laboratory detection of Zika virus disease and neurological complications, as well as public awareness”, said Dr Moeti, WHO Regional Director for Africa. Zika virus occurs in tropical areas with large mosquito populations, and is known to circulate in Africa, the Americas, Southern Asia and Western Pacific. People are infected with the Zika virus when bitten by an infected Aedes mosquito – the same type of mosquito that spreads dengue, chikungunya and yellow fever. Yesterday, following the recommendations of the panel of experts convened under the International Health Regulations, the Director-General of the World Health Organization, Dr Margaret Chan declared the outbreak to be a - public health emergency of international concern (PHEIC). This means that the disease constitutes a public health risk to other States through the international spread of disease and requires a coordinated international response to address it. Considering the wide distribution of this type of mosquito, all the countries in the African Region are at risk of Zika virus transmission. This risk is potentially increased by the ongoing Zika virus disease outbreaks in other countries in the world. In the African region, Cape Verde has reported an outbreak with over 7 000 cases since October 2015. However, the number of cases has been on the decline since December 2015. There is no specific medicine to treat Zika virus disease but it is important to be aware of its symptoms - fever, skin rash, muscle and joint pain, conjunctivitis or red-eye, tiredness and headache. These are normally mild and can be treated with common pain and fever medicines, rest and drinking plenty of clean water. Symptoms normally last for 2 to 7 days. The Zika virus outbreak in the Americas has been associated with an increase in babies born with microcephaly (small heads) at the same time of an outbreak of Zika virus. Health authorities and agencies are now investigating the link between microcephaly and Zika virus, in addition to other possible causes. The WHO Country Offices across the Region are providing the necessary support to the national authorities to effectively prepare and respond to Zika virus disease.